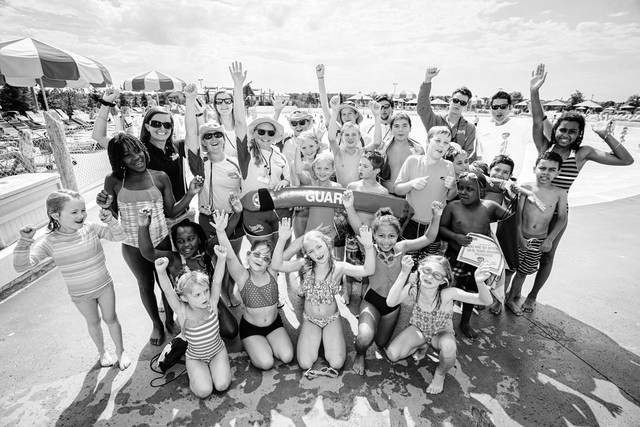 Zoombezi Bay is joining forces with the world’s top water safety and training organizations to serve as a host site for the World’s Largest Swimming Lesson™ from 10 to 10:30 a.m. on Thursday, June 21. Zoombezi Bay will be one of an estimated 600 locations in more than 20 countries that will simultaneously offer a basic, 30-minute swimming instruction to children ages 2 through 12 years old at 10 a.m. The attendance at Zoombezi Bay will be combined with all other participating aquatic facilities in an attempt to collectively break the Guinness World Record. These efforts tackle what the World Health Organization (WHO) lists as a leading cause of death and a “highly preventable public health challenge.” The WHO encourages a variety of interventions to prevent drowning, including teaching school-age children basic swimming skills. According to the Centers for Disease Control and Prevention, drowning is the leading cause of unintended, injury-related death for U.S. children ages 1-4 and is the second leading cause for children under 14. Since the World’s Largest Swimming Lesson’s inception nine years ago, more than 236,000 children and adults have participated in the program, according to the organization’s website. This will be the sixth year that Zoombezi Bay has participated in the challenge, helping the organization break the world record every year. Zoombezi Bay’s swimming lesson numbers will count toward World Largest Swimming Lesson’s goal of reaching one billion people with the message “swimming lessons save lives” by 2019. To encourage participation, Zoombezi Bay is offering participants a discounted entry of $10, which includes access to the entire water park following the lesson as well as Columbus Zoo and Aquarium. (Regular admission prices apply to those accompanying the swimmers; children under 10 years old must be accompanied by a guardian.) The lesson is free for season pass holders. Registration begins at the Zoombezi Bay Season Pass entrance at 9:30 a.m.; pre-registration is encouraged but not required. For more information or to purchase tickets, visit the Calendar Page on Zoombezi Bay’s website. Additional safety tips can also be found on Zoombezi Bay’s Safety in the Water page.